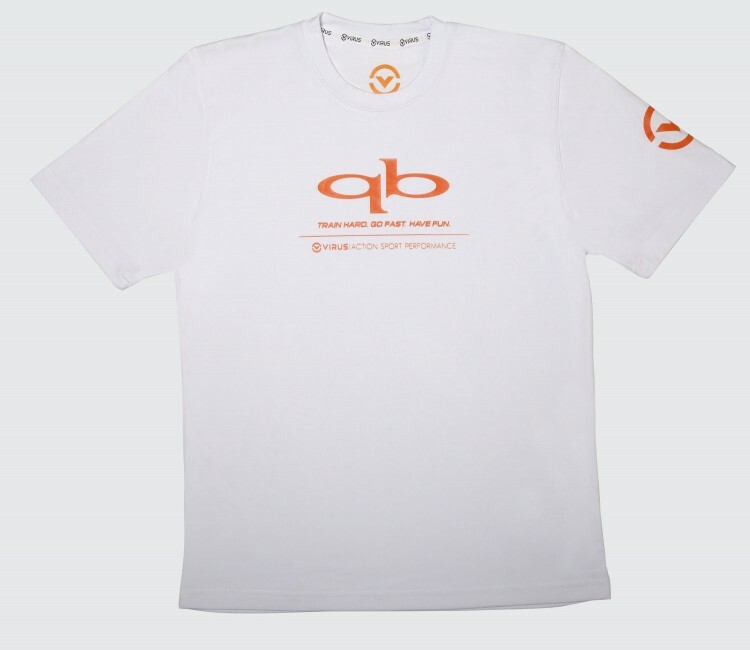 This VIRUS / QB hybrid Street Tech T-Shirt has the latest tech in, well T-Shirts. It's Quick Dry, Anit-Odor, UV Sheild, Cool Tech, 2 Way Stretch and even made from recylced materials. 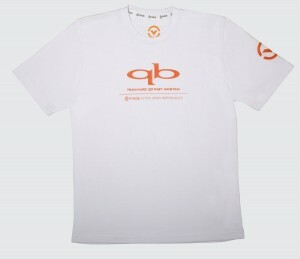 It's offered in white with the VIRUS logo and tag line plus the QB logos and "Train hard. Go fast. Have fun." tag line in orange on the front. The orange VIRUS logo on the left sleeve and small VIRUS & QB logos in orange in the neck area on the back. This is not a compression shirt.